Features: This season is about color, color, color! 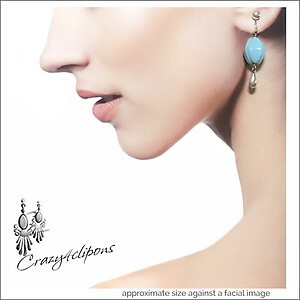 These earrings give you the fabulous look in a simple yet colorful retro look. 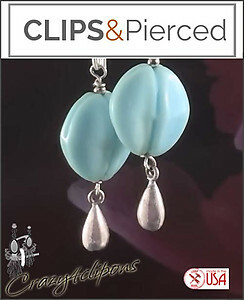 Vintage glass pods in a soft robin blue color are combined with shiny sterling silver dangling teardrop.